Bethel Heights Fire Department is owned by the City of Bethel Heights. Operations are managed by Lowell Fire Department administration. The station is equipped with a Rescue Engine, and is staffed with two personnel during operational hours. Hours of operation are Monday – Friday, 8:00 am – 4:00 pm. The primary response area is the Bethel Heights city limits proper. 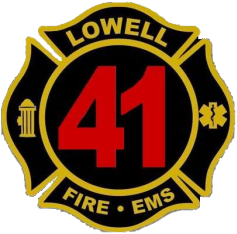 When staffed, the department also provides automatic aid to the Lowell Fire Department for structure fires, automatic fire alarms, and motor vehicle accidents that occur within the city limits of Lowell.